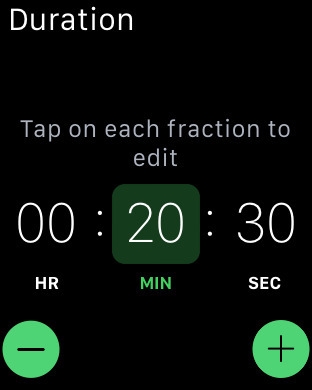 Timeless is a countdown timer and stopwatch application that combines a very simple and fast interface with powerful features like multiple timers, labeling, gesture based controls, Focus mode and colour themes. 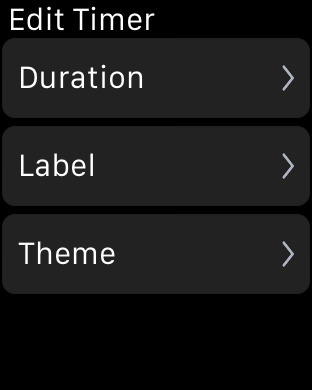 You can now view, start, stop, modify and manage all your timers straight from your wrist through our WatchKit app! Timeless has been redesigned to look and feel even better! Timeless works both as stopwatch and a countdown timer! Timeless lets you run up to a hundred timers simultaneously. Just swipe left to add a new one! You can add a label on each timer so that you know which timer is up. Timeless saves the timers you setup so that you can create presets for quick access. Choose from a variety of carefully crafted color themes to match your style or the occasion. More coming soon! Rotate clockwise for an overview of all your timers. Start or stop each one you like in a single tap or change their order. Rotate counter-clockwise to view a large version of the running timer. This mode prevents the phone from locking so that you can easily check the timer's progress. Never miss a notification. Timeless runs in the background and when a timer expires, it notifies you through the iOS notification center. 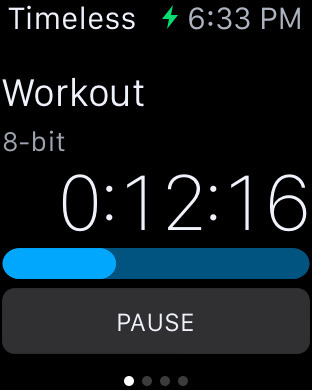 A little badge on the app's icon lets you know how many timers are currently running. Sound effects make the app even more friendly and fun to use! Each sound has been carefully selected to match each interaction so that you can practically use the app without even looking at the screen. Choose from a list of carefully selected audio notifications. More coming soon! Don't forget to keep in touch with Timeless via social networks!